A Saskatoon chef says it’s difficult for a locally-owned restaurant to compete with chain restaurants. “I think that there's room for everyone but that there is a need for people to support the local restaurants,” said Christie Peters, the executive chef and owner of Primal and The Hollows. Last week, Olive Garden announced that it will be opening a restaurant here in Saskatoon this fall. This announcement was met with excitement from the community. When Taco Bell opened in Saskatoon almost a year and a half ago, there were long lines and the police had to monitor the crowds. “We, as in Saskatchewan, value things that come from other places. 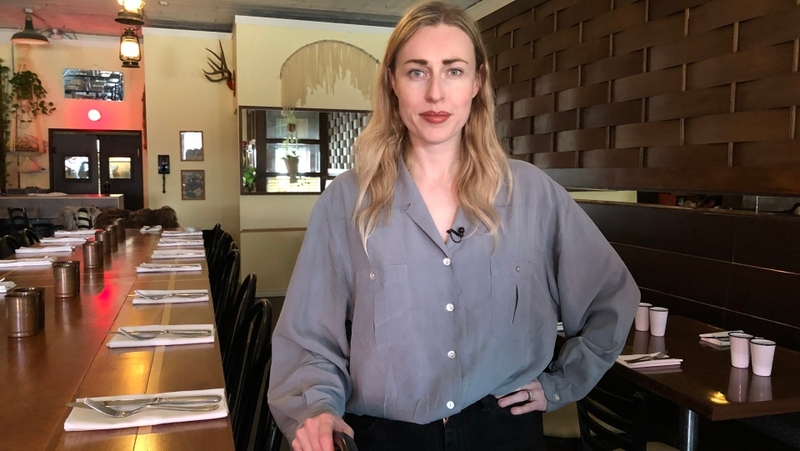 So, Olive Garden, you might have experienced it in some American city or on holiday somewhere and so it feels like we're becoming a bigger more cosmopolitan city,” said Noelle Chorney, leader of Slow Food Saskatoon. Chorney leads the slow food movement in Saskatoon and she is a big supporter of local food. Peters’ restaurants focus on farm to table food, meaning they use food grown at local farms as opposed to importing products. Peters said her food is higher quality than the food offered at some fast food places - but it often comes at a higher cost. Chorney said supporting local food in turn supports the local economy. Peters agrees and said it’s important for people to care about where their food is coming from. “We need to support local farmers and people really need to figure out where their food is coming from because a lot of the products that the bigger restaurants are using, we don't know where they're coming from, we don’t know the quality,” Peters said. Olive Garden will open at Preston Crossing later this year.